HOLIDAYS: When a holiday falls on a Monday, the transfer station will be CLOSED and will reopen on Wednesday. Operating hours are subject to change without notice due to inclement weather conditions. Make sure you have your new sticker by January 1, 2019! The transfer station will turn people away if they don’t have a valid sticker. As of 2018, the transfer station sticker should be placed at the top-right hand corner of your windshield (passenger side). If the top of your windshield is tinted, please be sure to place the sticker below the tint so it is visible to the transfer station attendants. Thank you for following the rules regarding our transfer station. Trash removal and recycling are large expenses for the town, and it is not uncommon for out-of-town contractors and non-residents to try and pawn their waste off on towns with friendly, open transfer stations like ours. These rules are actually in place to protect all of us! If you move out of Rollinsford or sell your vehicle, your transfer station sticker should be surrendered to the Town Clerk or destroyed and the Town Clerk notified in order to prevent non-residents from using the transfer station. Certain items (including construction and demolition waste, bulky items, certain household items, and tires) require special fees for disposal. 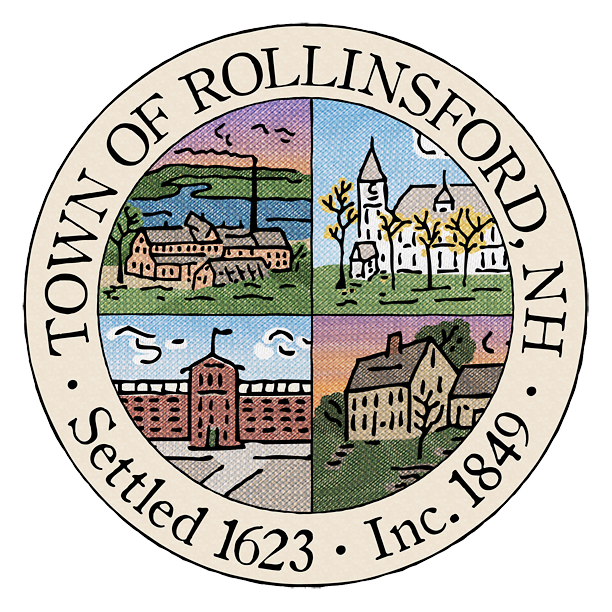 Expand the link below to view the entire list of disposal fees for the Town of Rollinsford. Given the market changes in recyclables, it’s no longer cost-effective to group all of our recycling together. Yes, it is disappointing as single-stream was so convenient, but we know that it’s important to the residents to keep costs down. The town will continually reevaluate options and practices to help keep recycling as inexpensive (or profitable!) as possible. Throwing items in the trash is always the most expensive option, so recycling remains mandatory. REMEMBER: Recycling as a commodity means that we need to make it desirable to the re-user. This means that anything with food particles is trash. Rinse your recycling! The Transfer Station accepts plastics #1- 7 for recycling. Please be sure they are clean and the lids are removed! Anyone wishing to dispose of waste oil should take it to Roger’s Auto on Foundry Street. Each year, we participate in a regional Household Hazardous Waste Collection Day where residents can bring unwanted household chemicals for safe disposal. Find a list of household chemicals that require proper disposal and get details on this year’s Collection on our Household Hazardous Waste page. Small amounts of paint can be mixed with other colors or bulked together and used as a primer coat or on jobs where the final finish is not critical. Donate unopened cans of paint! Many schools, religious groups, community groups, and theater groups will accept unopened cans of paint, especially white! Even a neighbor may need some extra paint. You can also check your paint store’s policy on returning unopened cans of paint. Simply remove the lid and place can in a safe, well-ventilated area. Cans 1/4 or less will dry in a few days. 1. Protect your work surface by lining it with old newspaper. 2. Add Waste Paint Hardener to can. One packet treats up to one gallon of latex or water-based paint. 3. Stir and mix thoroughly. For best results, add up to one cup of water to help activate the mix. 4. Set aside for 30 minutes. At the end of that time, paint will have a tacky, oatmeal-like consistency, but will not spill. 5. Your paint is now ready for disposal! Of course, the best thing you can do for the landfill (and your pocketbook) is avoid creating waste at the start! Buy only what you need. One gallon of paint will cover between 250 and 350 square feet, depending on the porosity of the surface to be covered. A gallon of paint will cover closer to 250 square feet of surfaces that are more porous.